If you are a Sprint customer you’re in luck. Sprint has just announced the availability of both the Motorola KRZR K1m and SLVR L7c through their service. Although Verizon Wireless has already had the KRZR since late-September, Sprint did however beat them in getting the new SLVR. Also as another bonus for Sprint users, phones offered through Sprint will retain the original user interface unlike Verizon’s phones. Both Moto phones will have access to all of Sprint’s new Power Vision services such as Music, Movies, and TV. Customers will have access to over 50 channels through Sprint TV, about 45 full-length movies such as “Spider-Man 2” and “National Treasure” through Sprint’s pay-per-view Movie service, and thousands of songs through Sprint’s Music Store. All of which can be purchased and downloaded directly to the phone (no computer necessary). The KRZR K1m is already available through Sprint’s online store for $199 with a new service plan, however Sprint hasn’t yet announced pricing or the exact launch date for the SLVR. When we tested out the KRZR K1m for Verizon, we didn’t exactly give it the best review because it literally had no new features over the RAZR other than the external music controls. However lets hope that these Sprint phones have something more to offer since they aren’t limited to Verizon’s software user interface. i’ve been looking into buying a motokrzr and i can’t find out if i can put my own music on the card instead of sprint’s. so if i can get any feedback from anyone that owns one that’d be great. I have 3 krzr k1m we bought one for myself, husband, and daughter. we have had them since shortly before xmas. and I have had to replace 2 phones so far for “unable to charge” they will not connect to any thing. when you plug it in it will say unable to charge or unable to connect. they replaced both phones no questions asked. well that was about 1 week ago. and my “new” one they swaped out for does the same exact thing. I DO NOT RECOMMEND! @dirtyharry – You can sync many types of content with the k1m by using Motorola Phone Tools and the drivers off of http://developer.motorola.com/. @vagilord – in reference to above, you can use the same applications to transfer music, if you wish. OR if you have a SD card reader, the phone comes with a microSD card and a microSD-SD card adapter. You can pop this in your reader and place songs on it from you computer without special software. I was wondering, is it possible to swap music files by using Bluetooth between Motokrzr for Sprint and Motokrzr for Cingular or Verizon? If it is, how? Thank you for the expert advice, there have to be some Sprint Motokrzr gurus out there! 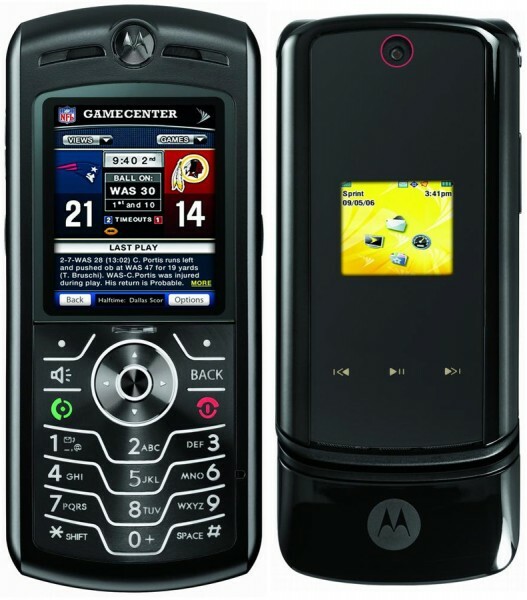 I have the Krazr km1 from sprint and i can not figure out how to put my own personal music from my pc to my phone. can i use the windows media player. and if so i do i do it,or do i need to buy the motorola phone tools. any help on the matter would be great. thanks. Dan – I’ve never been able to get music (or anything really) to transfer without Motorola Phone Tools. I’ve had the KRZR from Sprint for almost a year now. If I didn’t get such a good discount on my next phone for having it for two years I would have junked it almost immediately. It’s S L O………….W! My friend had one on Verizon and it wasn’t this slow so I thought it’d be great. Tried it out at the store, just thought that enough people had messed around with it that it lagged a bit. I got the service update about two months ago thinking that might help and it didn’t. Response time can exceed 5 seconds when accessing your contacts list and I could do without the Motorola predictive text. Also, I have lost about 45-50 texts to the outbox because the phone takes so long to send them that when you close the phone to get on with it it just forgets to send them. Thumbs down until Sprint pulls their H’s out of their A’s and speeds this buggy up.